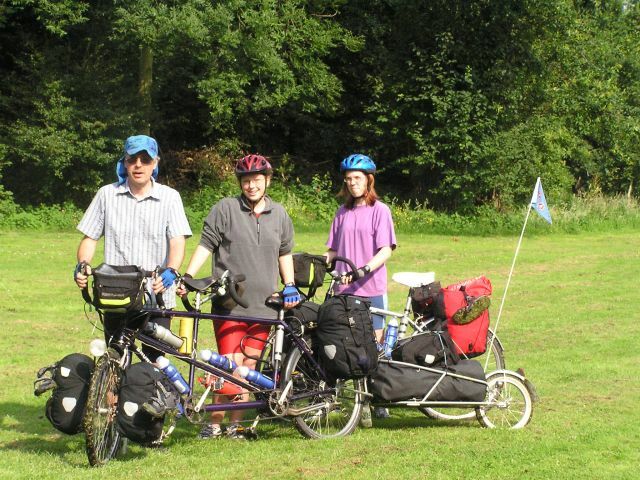 Ceri-Siân and I went cycle camping in the Netherlands. 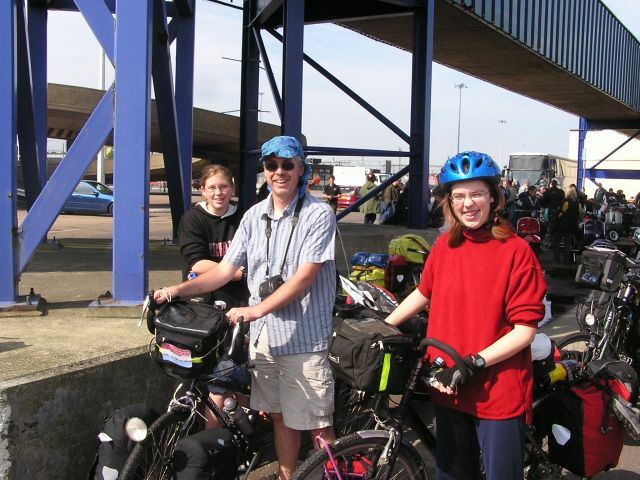 We took with us Melissa, Ceri's cousin and my niece who rode tandem with me, whilst Ceri rode her solo. Ceri made a head board to carry on the tandem. We took the fast ferry from Harwich to Hoek van Holland on the Friday. Here we are waiting for the ferry. Our friends the Sherwood's were also travelling out and back on the same ferries we used, hence they were able to take this photo for us. 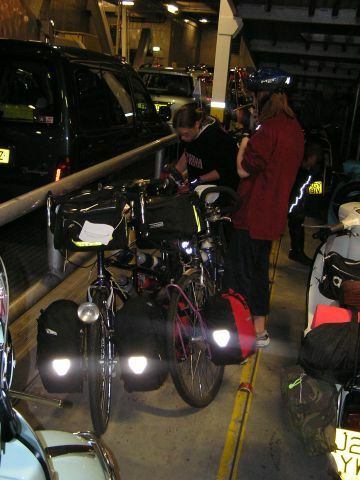 The girls load their bits back on to the bikes in the car deck of the ferry. Ceri cooking our evening meal at De Haan, a NTKC site on the outskirts of Den Haag. 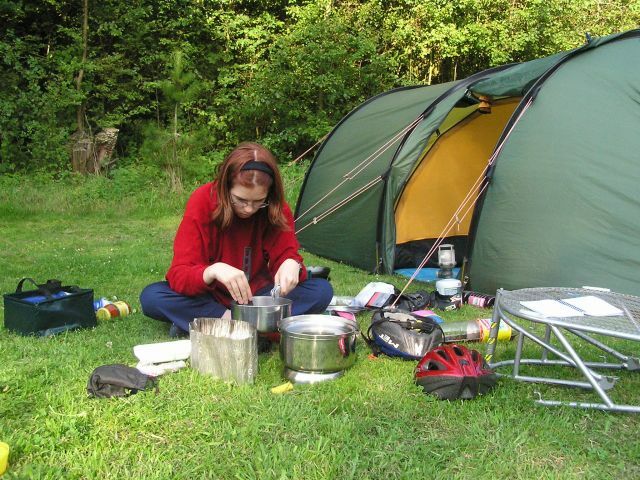 Ceri cooked virtually all the meals during the trip using the single petrol stove. That made a change from me doing all the camp cooking. Note Yasmine our BOB Yak trailer being used as a table. Camp view of our tents at De Haan. 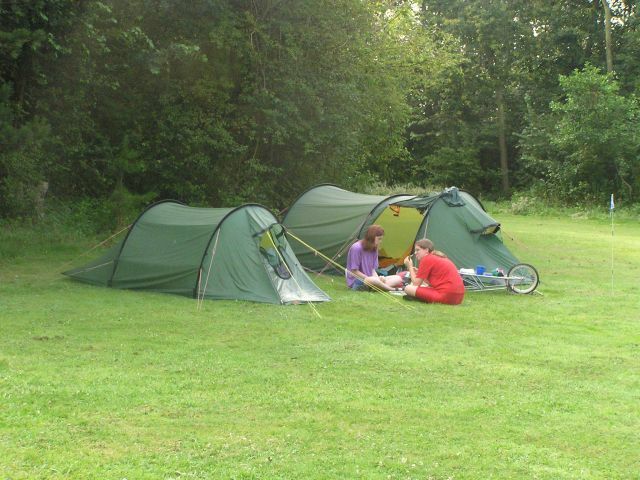 Initially I had the luxury of the large Stallon GT tent to myself and the girls shared the smaller Nallo 2 tent. Both our tents are made by Hilleberg of Sweden. The Trio of Dee's ready to set off Saturday morning. We got up earlish and struck camp first thing, for a ride back to Hoek van Holland to get the 11:31 train to Rotterdam CS on route to Maastricht. The Sherwood's also stayed at De Haan, so again they took our photo and we said farewell to them until the end of our tour. 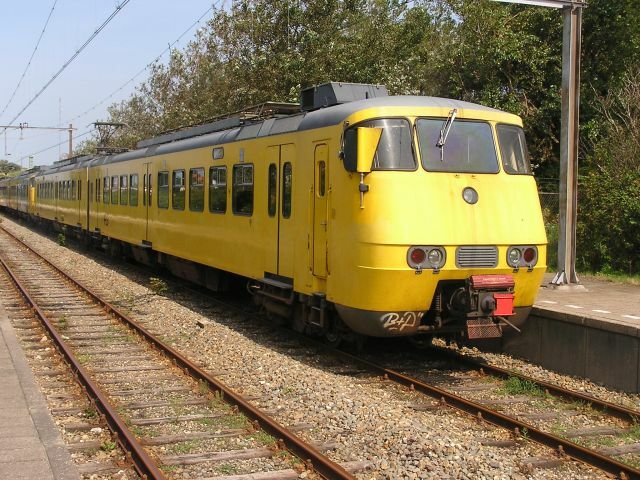 This is the 11:321 from Hoek van Holland Strand to Rotterdam CS. 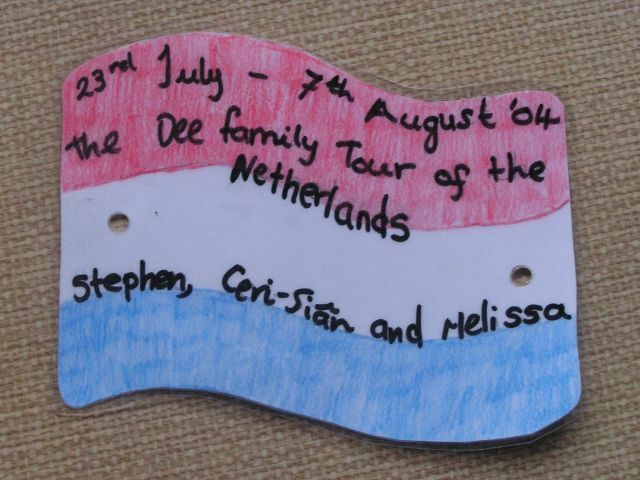 Melissa has learnt to enjoy the Dutch countryside in the same way as Ceri used to! On the Saturday we took the train to Maastricht, in the far south of the Netherlands. This is on the 12:15 train from Rotterdam CS to Eindhoven. This was one of the best trains for Tandem carriage - it was a Double Decked Inter City, unit 8723. We had to change trains at Eindhoven. 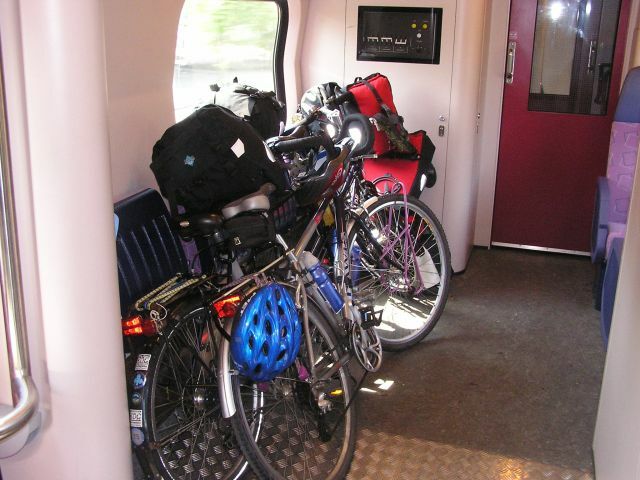 By the time we finished our tour we became fairly expert at loading and unloading our bikes. 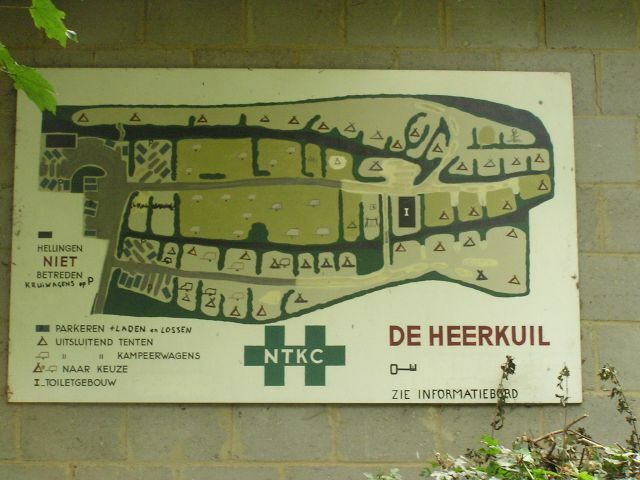 Heerkuil, the NTKC site at Sint Geertruid, in the hilly Limburg region of the Netherlands. A characteristic feature of NTKC sites are the camp fire places at each site. Heerkuil, the NTKC site at Sint Geertruid, in the hilly Limburg region of the Netherlands. Our tents with a classic Dutch cotton tent behind. 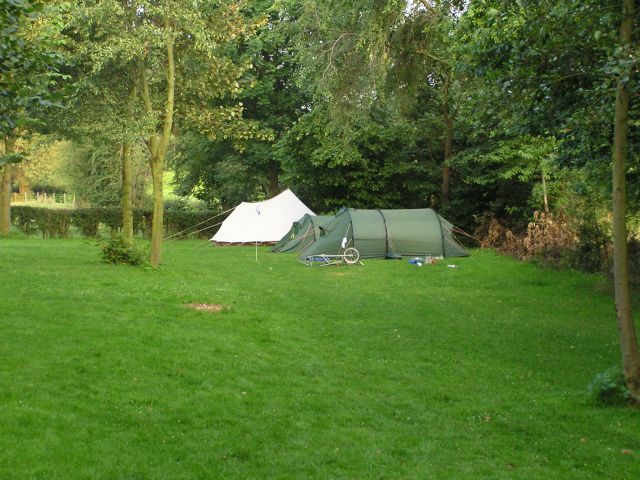 Many Dutch people "lightweight" cycle camp with these tents! 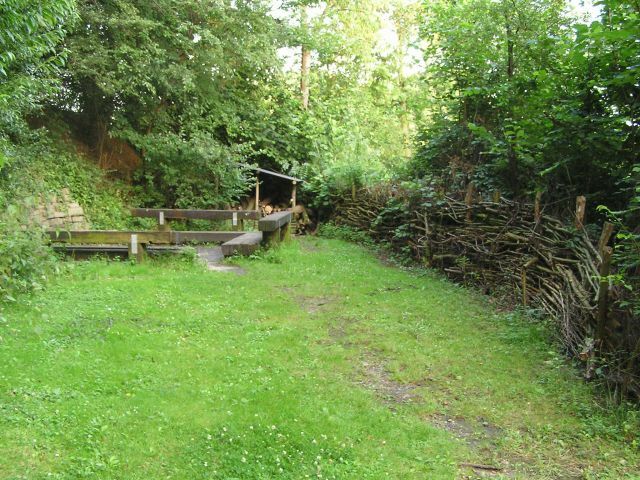 Heerkuil, the NTKC site at Sint Geertruid, in the hilly Limburg region of the Netherlands. The toilet block. 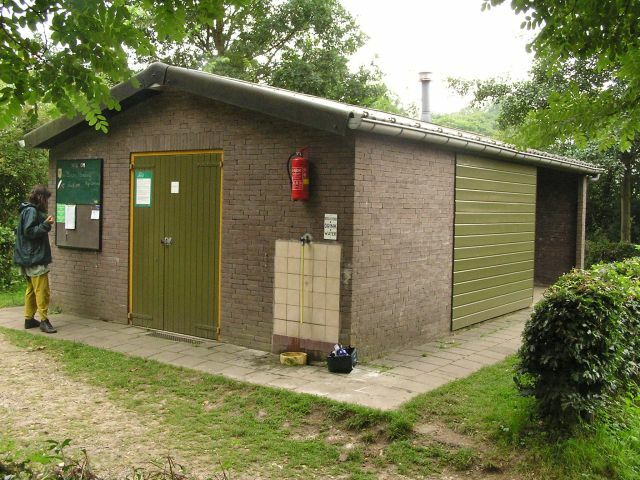 These sites have very basic facilities and this is one of the few at present with hot showers. Heerkuil, the NTKC site at Sint Geertruid, in the hilly Limburg region of the Netherlands. The site plan. Whilst it looks flat on the plan, the site is actually terraced on the hillside.